The news earlier this summer that Damien Hinds was planning to hold a summit to find solutions to support busy parents of very young children and put the spot light on early years got my attention, both as an ex-teacher and as a parent to my 3 and 4 year olds. Alongside this is the broad hint at the Albert Hall launch of a research project by the TriBorough Music Hub in London on the benefits of music in early years, that Music Hubs will have early years added to their remit when contracts are reviewed in 2020. We here at Festival Bridge have been working with Early Years Arts network ACORN East (now Magic Acorns) since 2017, scoping and mapping the landscape across our region. We want to ask the fundamental question; “How can we make early years matter to leaders and funders?”. To my mind this question is so relevant to all educators to ensure that value and emphasis is put upon providing quality teaching, resources, curriculum and opportunities in early years, not only as a way to narrow the gap of attainment but also to give equal access to parents and carers as the first and main educators in the lives of children. 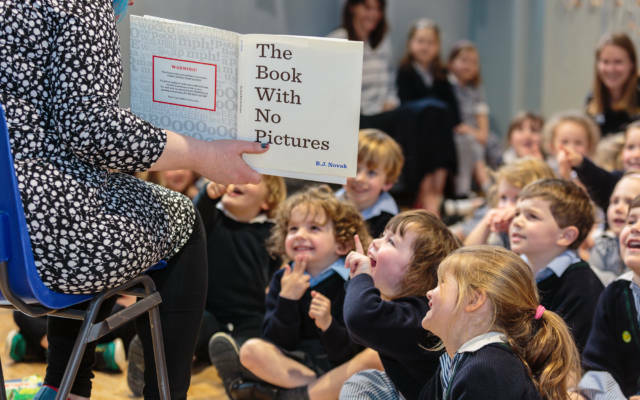 When attractive and interesting opportunities are invited into school I have often seen there is a pressure to not include nursery and reception. This can be owing to: ratios (particularly if it is something outside of school grounds), the length of time and having to factor in sustained attention… and most importantly toilet breaks! Also, sadly, if there hasn’t been a thorough enough investigation into what children are able to get out of an activity without it having to be a watered down from version of what the offer is to other year groups. Having taught for over half of my 10 years teaching in early years in primary, I know from first-hand experience that 3 to 5 year olds have one key attribute that all learners need… and that is a hunger for new knowledge and skills which is often left undernourished. The Early Years Foundation Stage curriculum is broad, and interpretations of what is planned and delivered changes from setting to setting and with a diverse mix of providers. We know from our research that arts and cultural offers and access for the early years’ sector are also varied and disparate. Providers of education from birth to 5 include but are not limited to parents, other family members such as grandparents, carers, childminders, pre-schools, maintained schools with nurseries and so on. That isn’t to say that there aren’t opportunities for a child to get a wealth of experiences by visiting their local museum or library, or attending and taking part in a range of art forms through the organisations that cover our cultural education map. 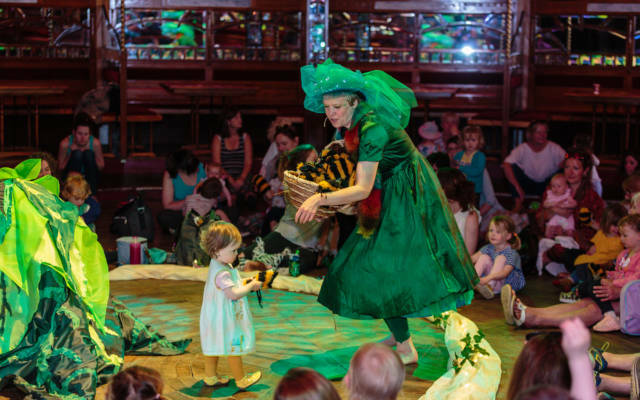 These activities give children the chance to see a beloved book come to life on stage, have an immersive theatre experience, explore an art exhibition through play, attend a bounce and rhyme session at a library, get outdoors with programmes like the GoGo Hares trail. 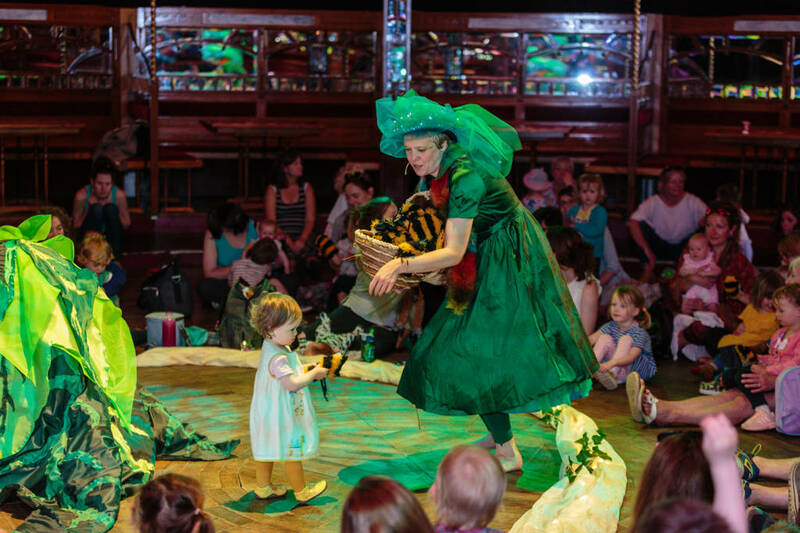 Many of these activities are free, for example some of the early years’ programme at the Spiegeltent during our annual Norfolk & Norwich Festival. Alongside the offers made and tailored specifically for this age range, and to revisit the question of how can we make early years matter, there needs to be a much more consistent approach. Organisations that have worked on an education offer may want to spend time with early years professionals to find out how their art form can be a valuable experience for the under 5s, and not simply an after-thought. The intrinsic way a child discovers helps us become better educators; observing ‘play’ and how a child of 3 can learn a new skill can give us insight to how we approach teaching any new art form for the first time. Practitioners may also benefit from exploring a learner-centred approach, with projects like Magic Adventures and SALT Music leading the way in our region. SALT Music is a particularly key example; an action research project funded by children’s music charity Youth Music, which explored shared practice between speech and language therapy and early years’ music practitioners. The sessions were playful, encouraging participants to express themselves with no pressure to speak and with a music – based practice that was directly shaped by both the practitioner and the parent and child. Some of the outcomes of the first year included increased confidence and vocalisation, and that laughter was important for vocalisation, a benefit and development of the staff working on the project. I am brought back to the Art Council England’s 7 Quality Principles and am reminded of the need for the very youngest to be INSPIRED in ways that are EXCITING and AUTHENTIC. If you are an organisation or practitioner that offers arts and cultural experiences to young people, we know that there can be a lack of confidence in moving into offering activities for early years. My advice would be to look at what activities you do well and then start to think about these activities through the eyes of a pre-school child. Referring to the resource that formed out of our research: know your participants and understand their needs, collaborate and test activity, engage and interact, empower both children and their parents/carers/teachers and reflect continuously to recognise your best practice, keep developing and broadening your offer – and importantly, find training opportunities with professionals who fully understand child development. If organisations recognise the importance of developing appealing and appropriate high quality opportunities to the under 5s then funders and leaders will be led by the impact and evaluation of this work. This is an area that Festival Bridge will be focussing on in the next year, gathering further research and evidence and supporting networks like ACORN East. If you are an early years educator I think you do the most amazingly rich and fantastic job, and I am fighting your corner for it to be widely recognised that what you do is so valuable to our educational structure. I believe that those working within early years are not only instilling skills for life in young people, but they are also increasing the participation of adult relations in the education of their children, which all teachers would be lost without. As part of our commitment to increasing both artists’ and nursery practitioners’ skills in providing appropriate creative activity in early years settings, we’ve been supporting a group of artists in partnership with Great Yarmouth Community Trust to set up the Magic Acorns network. Research we commissioned in 2017 showed that there were highly skilled artists working in our region but many were very isolated – others said they really needed training to make their artistic practice appropriate for this age group. And conversely, many nursery practitioners felt they weren’t very ‘artistic’ and would value training to build confidence. 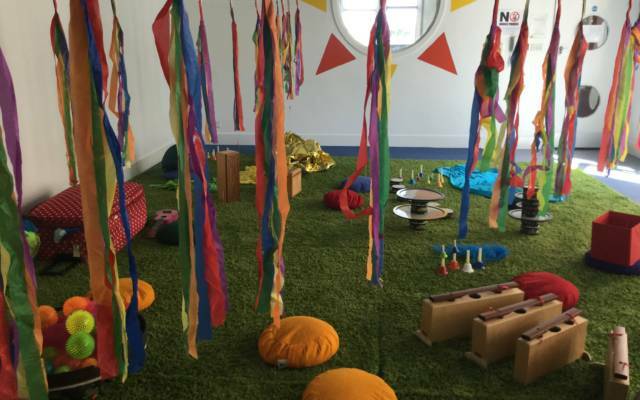 It’s great to see that the Magic Acorns network is already in operation – their networking sessions are open to artists and nursery practitioners alike and are a great way to share practice and make connections. Magic Acorns have also organised peer-to-peer artists’ training opportunities, in partnership with Snape Maltings, thanks to a successful Project Grant from Arts Council England. They are now writing their business plan and hope to constitute themselves as a CIC to take this work forward. 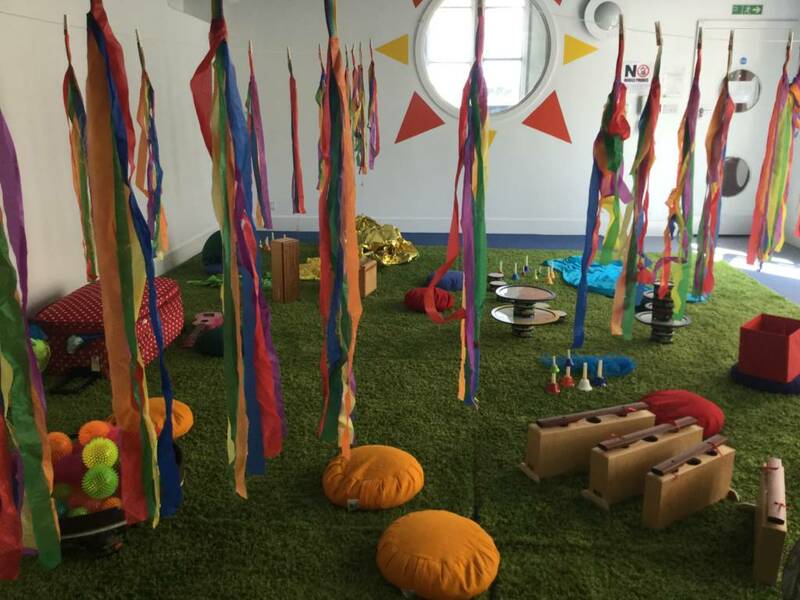 Meanwhile, Festival Bridge are also piloting training modules with FE and HE partners bringing practical creative skills into early years development courses. We’ve delivered one successful session with students at Peterborough University Centre, and are in discussions with Suffolk New College and the University of Suffolk, alongside setting-based training for nursery practitioners working in Ipswich. It’s also great to know that Arts Council England have early years in their sights for their next 10 Year Plan, and we hope to contribute to their thinking on this. 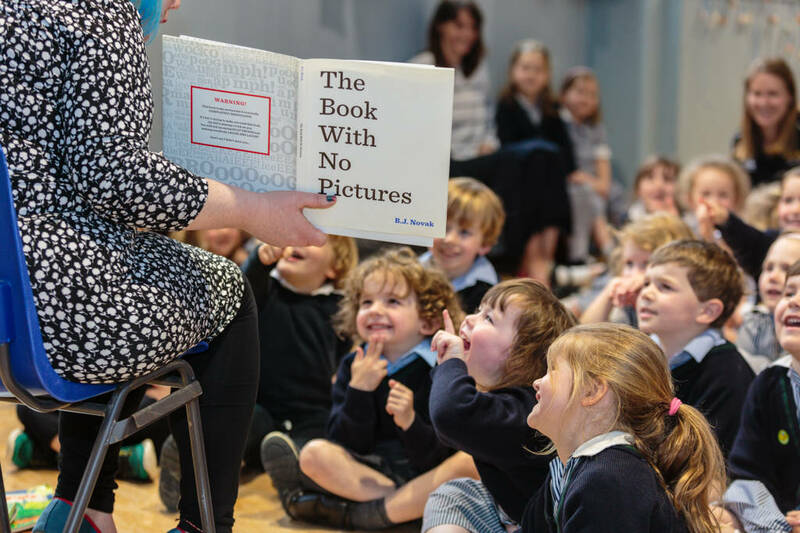 To read our current research into Early Years Arts and a sample of links to interesting reading and early years specific organisations click here. We would be happy to provide guidance and support to anyone wanting further information, you can contact us by clicking here.